I’m kicking myself in the foot because it was just late last year when I picked up a new 17” Macbook Pro for myself and a 13” for my wife, and now these lovely beasts come out – arrgggh!!!! While you can certainly get yours from the Apple store, the cool thing about buying from B&H is that they have a better return policy (ever tried returning an iPad like me – OUCH – $60+), they have free shipping and most importantly – no sales tax for most people. This can add up to several hundred dollars in savings, and with the pre-configured versions with the most common options it can be delivered quickly once they start shipping. 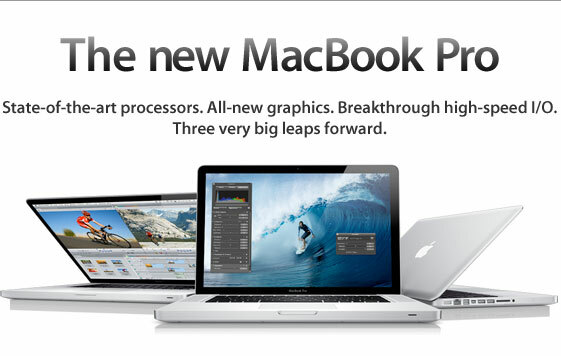 Click here to see a complete listing of new MacBook Pro’s offered by B&H. 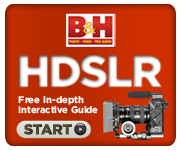 B&H has updated their cool HDSLR web site with some great new videos by Shane Hurlburt, ASC coming soon. I’ve had the pleasure of talking to Shane and listen to him talk about his experiences shooting with the Canon 5D Mark II and I can tell you these videos are going to be awesome. He’s a great enthusiastic speaker with tons of knowledge, so if you are into video you won’t want to miss these FREE videos! I may get a commission if you purchase using the links on this blog. It doesn’t cost you a penny and it helps me and my family a lot – thanks for your support by using my links!